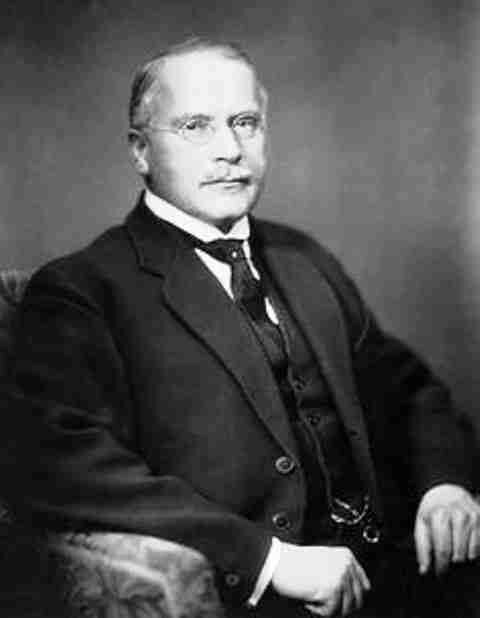 Carl Jung Depth Psychology: Carl Jung: I am sick of talking to people who do not even know the psychological ABC. Carl Jung: I am sick of talking to people who do not even know the psychological ABC. Your letter and invitation1 have arrived at a moment when I ﬁnd it hard to make up my mind at all. I am tired by the work of a whole year and I could not envisage the possibility of further exertions. I don’t want to say "no" deﬁnitely, but I should like to postpone my answer to a time when I have had my due rest. My wish is that you would take up the problem once more in September, when I am more sure of my capacity again. experiences, i.e., unnecessary misunderstandings and prejudices. I will mention only a few of them: archetypes are metaphysical ideas, are mystical, do not exist, I am a philosopher, have a father-complex against Freud, and so on. It is unsatisfactory and fatiguing to deal with people who neither have read my books nor have the slightest notion of the methods I am applying and their justiﬁcation. I cannot deal any more with people who are unacquainted with the world of problems I am concerned with. I avoid as much as possible interviews with those of my colleagues who are in need of basic information. I also avoid people with an antagonistic attitude from the start, who only want to know their own ideas but not mine. I consider a certain amount of open-mindedness as indispensable for an interview. I can explain my standpoint but I refuse to ﬁght uphill. Such gladiator-games are good for so-called scientiﬁc congresses but are the worst obstacle to real understanding. I have no patience any more with sheer ignorance. If you are sure your man is open-minded, fair and willing to weigh my argument objectively, and capable of doing so, I can look forward more easily to such an interview. I must ask for your forgiveness for these measures of precaution, because my old age has left me with a sorryremnant of my former energies. I cannot explain and ﬁght at the same time against ignorance and incompetence. I have, for the sake of my health, to ask my partner ﬁrst: Have you read a book I have written within the last 30 years? And did you understand it? - If not, I shut up. I am sick of talking to people who do not even know the psychological ABC. There are so many people who either designate themselves as my pupils or aver that they know my "system" that I a m always a bit scared when I have to meet an unknown person. I trust you are aware of this serious question. The whole interview depends on it. A few years ago ( . . . ) University got an interview out of me to which they sent a Professor of Psychology who was completely ignorant and to who m one could not talk intelligently. I had then been still strong enough to push him aside and give a free talk about some basic aspects.I could not do that anymore. At all events I should be much obliged to you if you would give me the chance to see my psychiatric partner before we start, so that I can get an idea of the level on which a talk would be possible.